Violence reared its ugly head once again within MDC-Alliance after supporters clashed over the weekend during their district congresses held countrywide. Several supporters were arrested while others sustained injuries. These disturbances come amid reports of power struggles with members aligned to party leader Mr Nelson Chamisa targeting secretary-general Mr Douglas Mwonzora’s supporters, ahead of their elective congress scheduled for next month. The major tiff stemmed from Mr Mwonzora’s open declaration that he wanted to challenge Mr Chamisa for the post of party president. Mr Mwonzora is viewed as a threat because he trounced Mr Chamisa to land the secretary-general’s post at the last congress in 2014. Mr Chamisa was later hand-picked for the party’s vice presidency by the late MDC leader Morgan Tsvangirai. Cases of violence were reported in Chitungwiza, Masvingo, Chegutu, Sanyati and Norton. National police spokesperson Assistant Commissioner Paul Nyathi confirmed receiving the reports and said arrests had been made. In Chitungwiza, reports say the process was being conducted at the MDC-Alliance Ward 17 Councillor Fungai Magadzire’s home in Unit J, Seke when at around 4pm, a group aligned to Zengeza East legislator Mr Goodrich Chimbaira raided the venue. The group which disrupted the process included Gailot Chenjera, Stepa Muchuchu, Berman Muranda, Shadreck Chimbaira, Jonathan Chimbaira, Jacob Munami and Chengetai Nyagondo. They alleged that the process was supporting former Zengeza East legislator Alexio Musundire before they assaulted Andrew Samuriwo (38), Abgirl Tarukiwa (31), Moses Tsikiwa (47) and Lillian Munyaradzi (28). They were using stones and fists resulting in Samuriwo sustaining bruises all over his body and some shaking teeth. In Chegutu police arrested four people — Primrose Mzula (24), Cleopatra Mzula (30), Carlton Dzeka (22) and Lillian Chigariro (34) following the skirmishes that broke out on Saturday. The violence broke out between party members aligned to district chairperson Gift Kanjana and Ward 9 Councillor Edward Dzeka’s sympathisers. 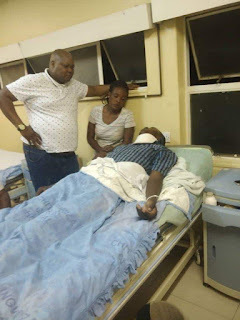 In Masvingo, MDC-Alliance district organising secretary Mr Gibson Murinye who was challenging incumbent party district chair Mr Muranganwa Chanyau, was allegedly beaten with an electric cord by his rival’s backers before being blinded with tear-gas resulting in the abortion of the restructuring of the party at Mucheke Hall. Mr Murinye has also since been evicted from his place of residence at the party’s provincial offices in Rhodene suburb by Mr Chanyau’s supporters. He confirmed being chased away. “I was beaten by an electric cord and sprayed with tear gas because my colleague (Mr Chanyau) felt I had more support than him in the race for the Masvingo district chairmanship. Mr Murinye said Mr Chanyau and his backers proceeded to hold sham elections in the dead of the night at a joint along Masvingo-Mashava road. However, Mr Chanyau in turn accused Mr Murinye of trying to disrupt the weekend polls. In Sanyati, clashes occurred following disagreements on non-availability of voting material, resulting in some members abandoning the process. In Norton, supporters believed to be aligned to Mr Chamisa — Voice Chinake, Judith Muchenjekwa, Kumbirai Matemera and Maxwell Manyena tried to stop the process resulting in clashes. The Norton Town Council deputy chairperson Mr Silvester Gumisirai is alleged to have started beating up Manyena resulting in some of the youths joining in the fight. The party’s national spokesperson Mr Jacob Mafume confirmed receiving reports of violence during the district congresses.